Looking to save versus spend? Eager to sock money away not just for a rainy day but potentially for stormy months, even years, ahead? 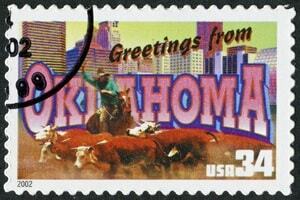 Consider heading to the Heartland. The Midwest is home to some of the very best places to save money and get ahead in the U.S., according to a new analysis by Get Rich Slowly. To find out which parts of the U.S. exemplify a super saving ethos, we dug into government and private data, seeking places where residents deposit more money in federally insured banks, carry the least amount of credit card debt, and happily snip and clip coupons to pay less than the next guy. And, perhaps predictably, taxes played a central role in states whose residents seem to save the most. Of the seven states without a personal income tax, three made our top-10 list of best states for saving money. Our research also led us to discover some of the most challenging places for savers. The themes there were just as pronounced: High taxes and plenty of debt conspired to keep savings rates there among the lowest in the nation. Places like Oregon, Alaska and Hawaii all showed signs of savings struggles. They are not isolated cases. In all, we're no longer a nation of savers. It appears today, in many places, we're a nation of recession-scarred survivors accustomed to discussing nest eggs and safety nets in hushed tones, if at all. Get Rich Slowly used a weighted-average method with the following factors and sources. 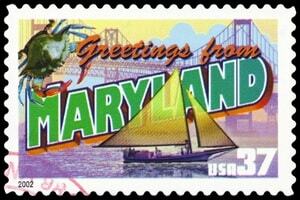 States which scored the highest overall were deemed the best states for saving. Credit card debt by state (30%): Average credit card debt per household by state as measured by Equifax, a leading credit-scoring agency. States with the least amount of credit card debt were ranked the highest in this category. Highest marginal income tax rate by state (30%): States with the highest marginal income tax, according to state tax laws, scored the lowest. States that taxed income less, if at all, were given a higher score here. Coupons printed by state (10%): Using proprietary data that Coupons.com shared with Get Rich Slowly, we ranked coupons printed by state. States that printed the most coupons through Coupons.com were ranked the highest in this category. How do super savers do it? Meet the Economides family of Scottsdale, Arizona. They saved their way to nearly $1 million in assets raising five children on about $40,000-a-year. The lack of credit card debt helped boost the profile of several states, with six in the top 10 boasting average household debt balances below the national average of $5,116. South Carolina has an average credit card debt lower than six of the states in the top 10, but the fourth worst deposit rate in the country, landing the Palmetto State among the worst states for saving. While total coupons printed per state can rely heavily on population size, North Carolinians proved to be extra-savvy clippers, placing sixth in total coupons despite a population rank of ninth. Don't venture too far west to seek a serious savings lifestyle. While Nevada placed fourth on the best-states-for-saving list, Oregon, Hawaii, Alaska, Idaho, California and New Mexico all scored in the bottom 10 of the study. How did your state measure up? 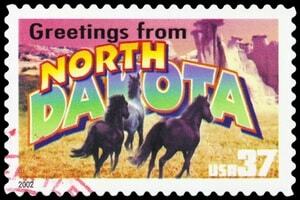 South Dakota, a state notorious for lackadaisical banking laws, managed to create the most advantageous climate for financial success. Perhaps those laws enable a transient community in the oil industry to put more money in the banks without affecting the overall population, thereby over-inflating deposits per capita. Couple that with no state income tax it is hard to escape the logic that with more money staying in individual paychecks, putting cash in the bank gets a lot easier. This Great Plains state is the third-least populous state in the United States, but it ranks in the 81st percentile for deposits per capita. Basically, the few people who call North Dakota home are making a big splash in the deposits world. Quite possibly, the abundance of fossil fuels in this area has made it so that this state's residents can thrive financially, but it may also be that they're just diligent when it comes to saving. By national standards, the middle-of-the-road income tax in North Carolina is high for this top-10 list, but they still rank No. 3 as a best state for saving. North Carolina proves to be a state of coupon-clippers. They ranked sixth on the Coupons.com list for the amount of savings earned through the website while ranking ninth for population. If Nevadans can avoid the abundance of slot machines sprinkled throughout the state, then residents are set up to save. 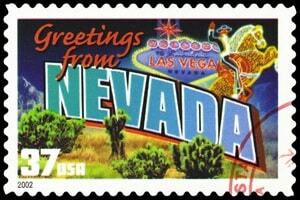 Ranked the seventh state for deposits per capita and one of seven states that does not collect any income tax, Nevada has proven to be a great state for saving. Holding the highest average credit card debt per household of the top 10 states, could the stereotypical “frugal Midwestern” theory crack? Not so fast. 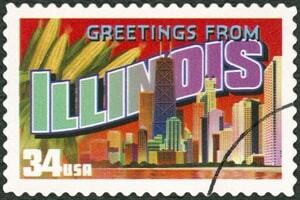 Illinois makes its debut as the fifth best state for saving. The fact that income taxes dropped 1.25 percent from the 2014-2015 tax seasons makes the 3.75 percent income tax one of the lowest in the nation. Everything is bigger in Texas — including the ability to save. The exports industry in Texas surely plays a large part in the financial well-being of this state. In addition to the 0 percent income tax rate, Texas ranked third, nationally, for the amount of money saved by using Coupons.com. Save on, Texas! 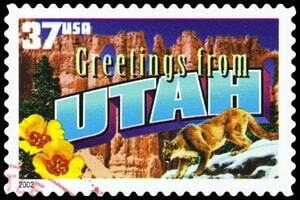 The census recently rated Utah as one of the fastest growing states in the U.S. In part, new growth is being fueled by high-tech companies relocating to the state, and perhaps the influx will lead to a change in deposits per capita in the near future; but for now, the state will stay ranked third, nationally, as most deposits per capita. Home to the first nationally chartered bank and the sixth largest bank in the United States, it seems only natural that Pennsylvania would make it on the list of top states for saving. Although its impact on the overall score was smaller than other factors, Pennsylvania proves to be a super saver state with coupons as well. 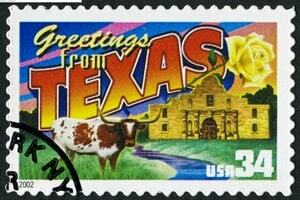 The only other state in our top 10 to beat out Pennsylvania's coupon-clipping habits is Texas. Missouri ranks in the 70th percentile in all categories — the consistency of high-ranking scores in each category is what helped Missouri clench its spot on this list. Missouri has the highest marginal income tax rate of the top 10, though, which kept the Show Me State from rising higher. Oklahoma has the lowest credit card debt of all states on the top-10 list, a huge indicator of financial freedom. However, the low amount of deposits per capita (38th percentile) was detrimental to Oklahoma's proof of savings ability. You can easily peruse our data in the table below. The default view shows the top 10 states for saving, but you can filter the table for a particular state or show the entire data set by selecting “100” in the “Show entries” field. The table can be sorted on any column as well. A penny saved is a penny earned — unless you live in Oregon, or any of the other states to make this list. Looking at the data, we saw that the worst states for saving were largely found on the West Coast. What caused such a lackluster performance in the savings categories? A combination of low deposits per capita and high income tax rates have proven to be a challenge for residents in these states that hope to set up a large nest egg. These 10 states exemplified the worst saving patterns, according to our data. The very low deposits per capita in Oregon were a main contributor to the lowest ranking state for savings. Ranking 51st (including the District of Columbia), Oregon fell in the 30th percentile for deposits per capita ranking 46th of all states. In addition, Oregon's dreadfully high income tax rate is making it harder for Oregonians to put money in the bank. 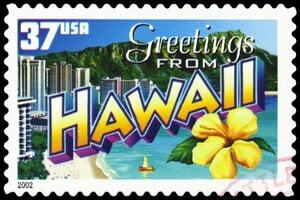 The 11.0 percent income tax in Hawaii is the second highest in the nation, just barely behind California. Hawaii also has the third worst credit card debt in the country. Mixing the high income tax and the high credit card debt has not proven to be a good recipe for savings success in the Aloha state unfortunately. Alaska households have the highest credit card debt in the entire nation at a whopping $7,609. Perhaps the Last Frontier should consider coupon-clipping to avoid escalating credit card debt. 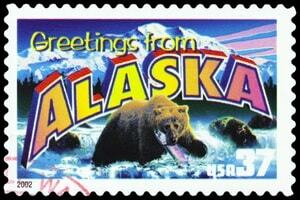 When it came to utilizing the offerings of Coupons.com, Alaska ranked 51st on the list of states. Alaska's 0 percent income tax proves that even states with the best income tax laws still experience money obstacles that prevent effective saving. At least hiking through Idaho's gorgeous terrain is free. Idaho claims the title as the state with the lowest amount of deposits per capita in the entire nation, which is somewhat surprising considering its small population. 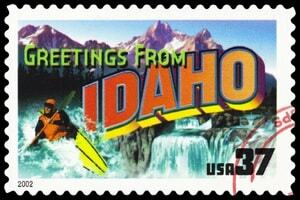 In total, there is $20,551,233 resting in Idaho's FDIC institutions. Vermont is the first of three northeastern states to make the list, and a small one at that. 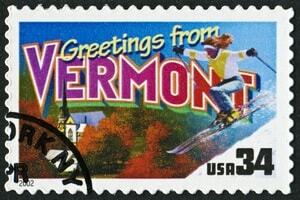 Vermont is the second least populous state in the United States. The 8.95 percent marginal income tax rate in Vermont is a national high, the seventh highest in the nation to be exact. Of each category taken into consideration for the best and worst saving states, Maryland scored the worst in credit card debt. The state has an average credit card debt per household of $6,710, the fourth highest in the nation. Maryland scored the highest in coupon-clipping rankings, but unfortunately their overall score wasn't high enough to keep them off the worst-states-for-saving list. 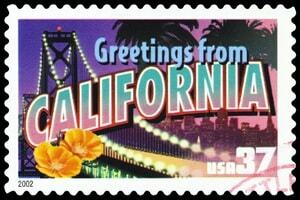 California's income tax is the highest in the nation at 13.3 percent. Although California ranked highest in the Coupons.com clipping survey, the high income tax, high credit card debt, and mid-range score for deposits per capita prove that California is not golden when it comes to saving. Thanks to the tech boom and entertainment industry, California does have quite a bit of money in the bank—if only the population wasn't so high. The Land of Enchantment maintained a competitive score in each category considered by Get Rich Slowly when you look at savings apart from deposits per capita. 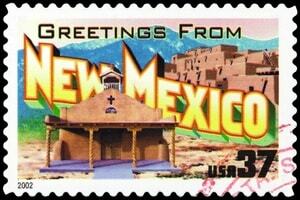 New Mexico was actually the second lowest state for deposits per capita in the nation. Not far behind New Mexico in the deposits category, South Carolina was the fourth lowest state for deposits per capita in the nation. 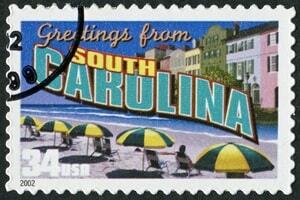 The 7 percent income tax is the highest tax bracket in South Carolina, which affects anyone who earns over $14,401. Yikes. Just barely lower than Alaska's credit card debt, New Jersey has the second-highest average credit card debt in the nation, which is the leading cause for the Garden State's position on the worst-states-for-saving list. 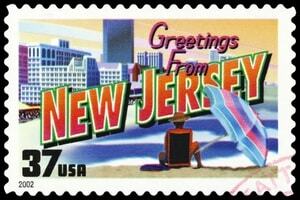 The other downfall for New Jersey is its 8.97 percent income tax which hovers around the 40th percentile for the entire nation. The ratio of personal income saved, as compared to the amount of personal net disposable income available, has been on a steady downward slide since the 1970s. According to data from the U.S. Bureau of Economic Analysis, that savings marker went from an all-time-high of 17 percent in May of 1975 to just about 5 percent today. Top-10 lists always make great fodder for the water cooler. And while we found the results surprising in many ways, we also think this is actionable information. 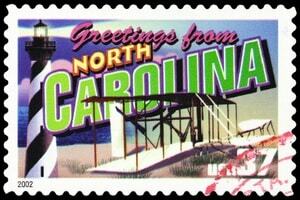 Would moving to South Dakota be the best thing for your pocketbook, or would North Carolina be a better choice? Now that you know a little about what makes each place great for saving, you can keep that in mind if you're faced with a career move, for example, or are just starting out. Others may decide to keep a tighter focus on the discretionary spending that leads to escalating credit card debt. It may also be cause for concern as some realize the uphill battle they will have building their savings. There are 29 reader responses to "The best (and worst) states for saving money and getting ahead 2018". The Illinois income tax hike expired, but seeing as they are so incredibly broke as a state, I wouldn’t be surprised to see it re-instated. Last I checked, SD’s economy took a huge hit when crude prices tanked earlier this year, so they might not be doing so swell if you could pull more current data. Still, an interesting list to generally compare states. This is a lovely piece of content marketing, but I don’t think this “analysis” fully considers the data. For instance, how is number of coupons printed a measure of success? Yes, it can indicate frugality, but it tells us nothing about the motivation behind that frugality. Are people using coupons because they’re struggling financially, or wanting to get ahead? I’ve noticed a lot of comments on PF blogs that people who can afford to eat healthful food don’t use as many coupons. (Because you often can’t get coupons for fresh produce and meats). I’m also wary of the data because there’s often as much variation within a state as there is between states. There’s big difference between living in New York City versus Watertown, for example. Also, averages don’t tell us the whole story. Consider: someone earning $1,000,000 and saving just $20,000 for retirement (that’s 2%) isn’t building a sustainable future for themselves. Someone earning $100,000 and saving $20,000 (that’s 20%) is working towards a comfortable retirement. Someone earning $40,000 and saving $20,000 (50% of their income) is in the best financial shape — yet the statistics treat them the same way. Don’t get me wrong, the numbers are interesting, but it’s what we do as individuals and families that matters. I’m sorry but I’m not buying this article at all. State income tax is a factor but the other two takeaways seem marginal. Using myself for an example my savings are not sitting in a bank account and I don’t print coupons. Yet I live on about 30% of my after tax income and invest everything else. Based on the metrics in this article I wouldn’t be a positive blip in the data and yet I am, if not technically already, very near being financially independent. I’m not sure I buy that number either. We have higher income tax in Canada, but our taxes may pay for things that people in the U.S. pay for different (health care, for instance). In Canada at least, families with kids get a lot more tax credits than those of us without. So while our tax rates are identical on to begin with, there’s a big difference when the numbers are run. Sometimes differences in tax rates for families are balanced out by corporate and business tax rates. Lower rates = better for business growth and employment rates. This article is full of holes, as other readers have pointed out. One of the biggest is failure to consider sales tax. Sure, Oregon has a high income tax, but that is offset by having no sales tax. Yes, Oregon has the 8th-highest residential property tax rate in the nation. Many things are very helpful if you are retired (special income tax provisions for retirement income) or low-income (no sales tax), but harder when you make more money. Which is as it should be, I suppose. Yeah but is the same percentage of your income subject to sales tax? I feel like much of my spending would not be sales taxed, but would be income taxed. For instance, my rent, my mortgage, my food… all income taxed, not sales taxed. Interesting stuff. The data is a little flawed though–you’ve got deposits per capita, credit card per household, and coupon savings per state. You should really break out all in a per household manner for this type of analysis. The deposits especially. In this analysis, you’re lumping in children with the same weight as adults. 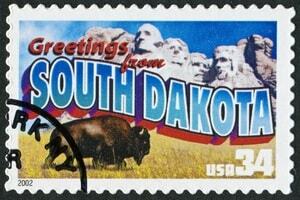 Plus, I have a feeling the $489k per capita savings for South Dakota is a typo–right? Another possibly skew to the data is the concentration of wealthy families/1%-ers in certain areas, such as NY/CT/MA. They would have no credit card debt and very high accumulation of assets making it look like residents in those states save a lot when it’s really just a small portion of the population. Guys…come on. If you are going to do this, do it right. Instead of putting a lot of time into risking your already shaky of late credibility. 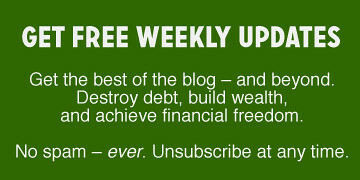 The 5% you list for NH only applies to INTEREST and DIVIDEND income – so misleading. Also, if my state is ranked #41 out of 50 how does it not make the breakdown of the 10 worst states for saving? “Lies, damn lies, and statistics” – Mark Twain, who oddly wrote that before the internet made it even more of a universal truth. I think there are several major pieces of data missing here. Where is the data on employment rates? States that don’t have an income tax typically have a higher sales tax, so that factor should be included. If you are looking at the average debt per person why aren’t you including student loan debt, car loans, mortgages, etc.? Perhaps I misunderstood the coupons data you’ve presented, but why would we look at number of coupons printed per state rather than number of coupons redeemed per state? Or the total value of coupons redeemed? Interesting to note that South Dakota ranks here as the number 1 best state for saving and number 8 on the list of top 10 WORST states to make a living. I hate to say this, because this blog has been so helpful in the past. But I have to second Mike in NH’s statement about shaky credibility. I feel like you guys are really stretching to come up with new content, but it’s not up to par. I am always baffled by the states that have no income tax. How exactly does that work? Taxes are used to pay police, fire, infrastructure, support for low income workers, general expenditures. If nobody pays income tax, where does the money for this come from? Sales tax? Does that even begin to cover it? As far as CA, it’s not the taxes that are killing us, it’s the low wages and out of control real estate and rents, that are keeping the majority of workers on the edge. Even if you live a simple life, by the time you pay for the basics, there is nothing left to save. Sales tax and property tax. And yes – it does begin to cover it because the rates are higher. Sales tax in Washington state pushes 10%. Sorry for the appeal to authority, but most people familiar with taxes and economics would favor consumption taxes over income taxes. These states are getting it right. Thanks. So if everyone pays 10% on what they purchase, how is that fair to low income wage earners? 10% is not the same for someone earning minimum wage vs someone who has a higher income, and we are talking basic expenses here, gas, food, clothes, school supplies, a new computer, phone, car registration, the necessities of life. It isn’t fair. Washington is considered to have the most regressive tax system in the U. S., I believe. You asked how they collected sufficient revenue, not how fair or progressive the tax rates were. On that end – usually groceries, gas, and other essentials are not subject to sales tax (local rules vary). I think most of the difference is made up in large property taxes, though this is handed down to renters. I’m sorry, but this is cargo-cult economics. Moving to South Dakota isn’t going to change your relationship with money and magically make you a saver. Tax rates are relevant but the rest is just smoke and mirrors. Focus on the behaviors of people in the high-saving states that lead to their large balances. Alea, as to how states with no income tax do it, it is often accomplished at least in part with higher property taxes. Then there is, yes, sales tax, along with things like gross receipts taxes on businesses, higher fees on licensing and registration of vehicles, land use tax, higher taxes on fuel, and so on. Poor analysis – not sure you can call it analysis. Just another worthless top ten list. Don’t publish garbage. I read articles like this on MSN.com frequently. At least I used to. I think this article took things a bit further than MSN sometimes does. Regardless, I don’t know how others feel about this, but this type of article doesn’t give me information I can use nor does it expand my knowledge base in personal finance. One might know this or that about a particular state or location, but how does that help most of us? I’m certainly not going to pick up and move to a different place based on how things are going in that state! Things change! Tax laws change, any number of factors can change, and then the whole picture is different. Besides, my job is HERE, not there. Family is HERE, not there. And moving is expensive and extremely stressful, to say the least. If that is the point of these articles, which I’m not even sure. I also think it’s very difficult to compare states in some of these areas because of the way things are managed on a state by state basis. 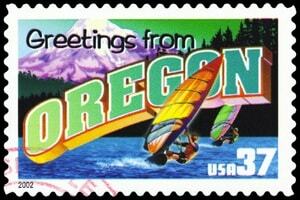 Oregon, for instance, looks terrible when it comes to taxes, due to their high income tax. The article failed to tell us that there is no sales tax in the state. 0–zip–none. So think of the things you pay sales tax on that are now tax free. I’m still not convinced that Oregon’s income tax is offset by the lack of sales tax, but that is the sort of detail that needs to be included in articles like this. BTW, I don’t live in Oregon, and was sort of pleasantly surprised at my state’s numbers. So I would be interested in hearing from readers who feel like I do, and those who find the information useful. If it is useful, how do you use it? I don’t find this information useful at all. I don’t think it was meant to be — it’s meant to get attention instead. 1) States with the highest % of income saved/invested for long term goals (not deferred spending like a vacation or a car). I don’t think it would be possible to know these numbers though. Again, I doubt they would be useful for me unless I could clean best practices and habits that lead to those numbers. This reminds me of one of those “for entertainment purposes only” type articles. The type of article that are linked to Huffington Post at the bottom of the featured post. The type of article you read when you’re bored and want to know how many celebrities were born with a sixth finger or something like that, then somehow you have a top 10 list with about a half a dozen pop-ups on the page. I hope nobody takes this article seriously or makes an important decision based on this nonsensical financial “data.” GRS has reached a state where competent financial writers should be embarrassed to have their names associated with this site. First, I am pleased at all the critical comment here. I love that people are thinking for themselves! A brief google search turned up the following article. Buried deep in the article is the following fun factoid. Uh, pretty sure that means the majority of households Do.Not.Carry credit card debt, which makes one of the major indicators used in this article a flimsy yardstick at best. If accurate CC Debt numbers are elusive, no doubt the rest of the measures used to compile this article are, too. 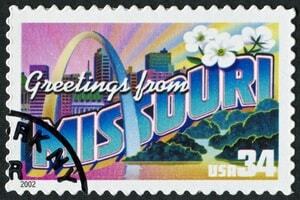 The state stamps are cute, though. Interesting, a country’s saving rate and its economic growth are closely connected. This follows from the life-cycle model. If there are more young people around than old people because the population is growing, there will be more workers saving for their retirement than there will be retirees who are dissaving, that is, spending down their assets. I live in Washington state on the border of Oregon, the people come into our town thinking work and lots of cheap rents, homes, NOT AND MORE NOT..Huge poverty and homelessness and hunger..If they kept on going all the way up to Seattle they would find work at $15.00 an hour no less but could never live in Seattle it is more pricey than san Francisco and los angeles, one cannot ever buy a home up there..Homes built in the 1940’s and 1950’s are all in the $450,000 range if you can even find one neighborhoods are decimated with zero lot line condos built to the sky, no thank you..We have lived in this tiny town for almost 38 years and it is not happy anymore..HUNGER in Oregon for kids and old people is the highest in the nation, no one can save a dime no jobs and no places to live anymore, and young people live in the city in huge to the sky condos that go for $350,000 on up..Used to be a lovely city not so much anymore, laws in Washington are better, but not the recreational marijuana..$15.00 an hour jobs in seattle raise what you pay for decent food, we go there on Amtrak never drive gasoline is over $3.50 a gallon in seattle and no parking ever, Amtrak has 2 for 1 tickets and we can ride on an Orca pass because we are older than dirt now for little money, excellent transportation system for little money for what you get..rails to the SeaTac for $5.00 or less from any hotel in downtown seattle no one should be using a car up there in seattle..we love the shore in Washington state, have friends with a teeny cabin we go and visit and stay food from the sea, but BIG DROUGHT THIS YEAR, HOTTER THAN HELL, IT IS AFFECTING SEAFOOD TOO, no clamming due to bacteria of the sea global warming and I adore clams oh, well one time in almost 38 years normally 200 plus days of inclement weather and cold and snow too. No ski season and no snow crops and everything bloomed early and many burned up.Vintners worried about the grape harves to come in eastern Washington, drought and fires and all kinds of hell fires..!!!!!!!!!!!!!!! The former governor Kitzhauber in Oregon is still under investigation for his gal pal fiancÃ© Cylvia Hayes and her crooked ways, she was power hungry and he was lonely oh my goodness sakes alive the Obamacare fiasco so regular blokes could not get health care and lots of other stuff he went along with that fellow Kitzhauber I guess they let a lot pass as he resigned but what a crook..He is 68 for God’s sake and the saying that there is no fool like an old fool applies to him..He doesn’t care his soon to be 18 year old son will know what he has done, he has no shame whatsoever, his former wives never speak of his name no wonder? oh, mygoodness sakes alive I say God-forsaken Oregon..I feel for the people who call it home with such a crook of a Governor FORMER GOVERNOR no one could save a dadblasted dime, state income tax is high and who cares about no sales tax, they don’t have decent public education either…aaarrrgh!!!!!!!!!!!!!!!!! !